Day 5: Climbing a pass on a rest day. We slept in until 8a and packed up camp, eating just a couple handfuls of trail mix to get us through to our “we climbed a pass” treat: breakfast at a restaurant! We arrived in the cutesy faux-western town of Winthrop around 9:30a and chose to eat at Shari’s Sweet Shop (odd, I know), prioritizing ambiance/ability to sit near our bikes outdoors over food quality (according to Yelp). We enjoyed our egg, ham, and cheese sandwiches; walnut cinnamon roll; and delicious coffee while sitting on the patio planning our next few days and catching up on the news. After sitting for three hours (!) we went to the outdoor supply store to pick up camp fuel and met the proprietor, Brian. 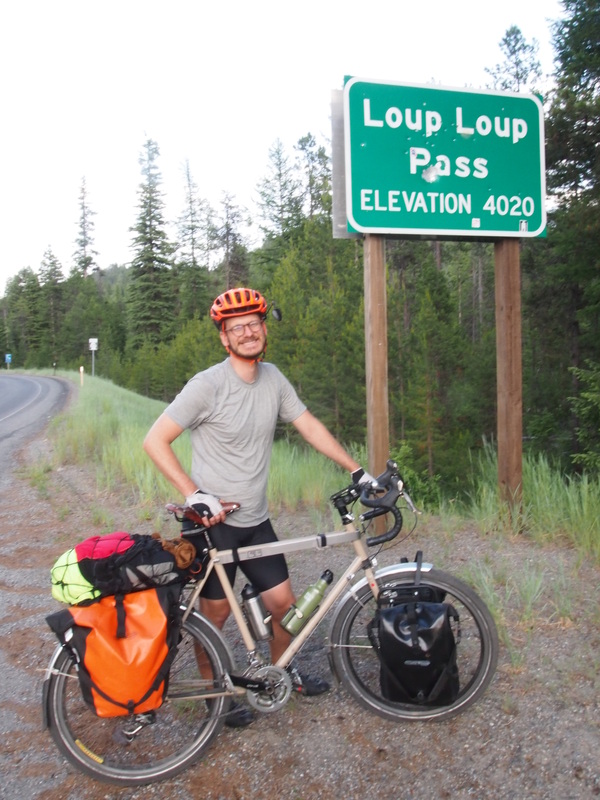 He and his partner took a seven-month bike tour from San Diego to Washington, D.C., then over to Europe where they cycled through France, Switzerland, the Czech Republic, and the Ukraine. I could have sat there listening to his tales all day, but we headed to Twisp to try to sort out a lodging situation (our second “we climbed a pass” treat: staying in a motel). 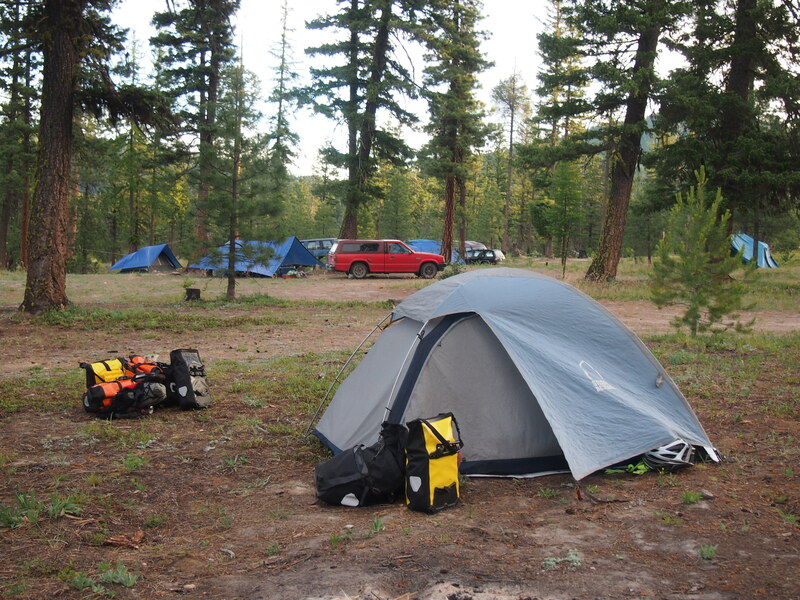 He also reminded us that it’s legal to wild camp in any national forest land, a helpful tip because we are spending much of our budget on expensive, crowded campsites with amenities we don’t need or want. On to Twisp via mostly downhill rolling farmland. 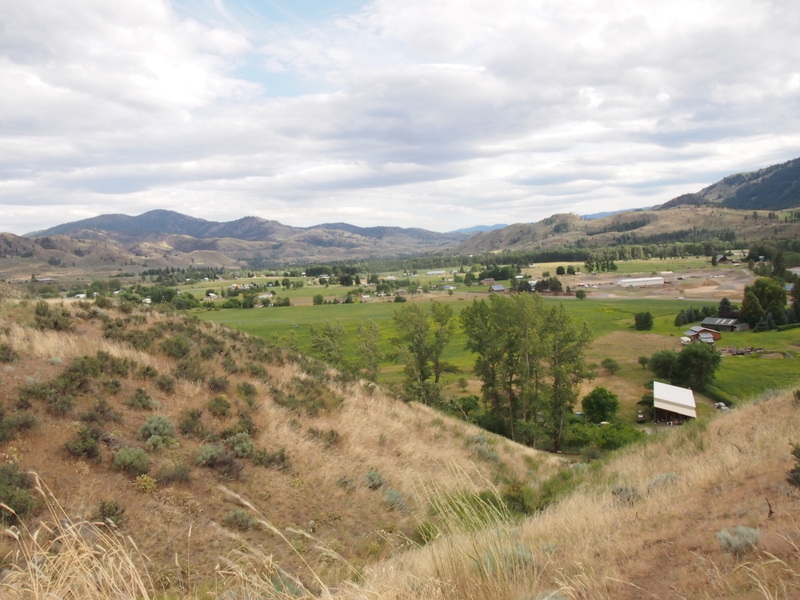 From what we observed, Twisp is a strange mix of rugged farmers and outdoorsy hippies, without much in between. We checked out a couple of motels, all of which were either overpriced and crappy or overpriced and super fancy, so we decided to forego the motel and push on toward the pass, planning to wild camp as soon as we made it to the national forest 10 miles outside of town. But not before doing a little laundry and eating in what a local told us is Twisp’s best restaurant, Rey Emmanuel Cuban and Mexican Restaurant. The owners, Rey (Cuban) and his wife (didn’t catch her name, assume one of her names is Emmanuel, but she is Mexican), somehow landed in Twisp around 20 years ago and decided to open a restaurant a couple years ago. This is a hard-working couple: they both have full-time jobs on top of operating the restaurant pretty much all on their own. The food at this restaurant was incredible. I had the very best ropa vieja I’ve had in my life (and I recently tried the dish at what many have told me is NYC’s best Cuban restaurant, Cuba in Greenwich Village), and everything else was great, as well. If you find yourself in Twisp, eat here! With very full bellies we began our ascent out of town. By the time we got to the national forest we decided that we may as well climb the next 7 miles over the pass. We had plenty of daylight left (it was around 7p and we’re very far north, so it’s light until 9:30p or so) and figured it would be nice to have an easier day tomorrow. We got to the official campsite at the top of the pass, but the camp was vacant and there was nowhere to hang a bear bag due to what appeared to be a recent forest fire. A bear recently destroyed a campsite at this camp, so we pushed a little further, looking for places to camp off of the road with better tree limbs. Plus, we didn’t want to pay $8 for a bathroom we didn’t need. We found a forest service road for a snow park (snowmobiling, snowshoeing, and cross-country skiing) at the absolute top of the pass, so we went along that road for a bit and were pleased to see that there were several people camping in a large flat area about a third of a mile from the road. My theory with bears is that there’s always going to be someone who’s less vigilant about bear procedures than I am, so as long as there are people around, we won’t be bothered. As we got a little closer, it was clear that this was a settlement of some sort; people were set up to camp for days, at least, possibly longer. There were several tents with large tarps over them to provide sun and rain protection (I assume?) and an assortment of older pickup trucks and SUVs parked nearby. Some of these sites had whole outdoor pantries set up, as well as tables and chairs. When we rolled up, around 20 men were sitting around fires, drinking beers and eating dinner. Everyone sort of looked at us a little suspiciously, but we looked around to find a campsite anyway. The area was beautiful, overlooking the mountains we just climbed through today and yesterday. We found a perfect site right on the edge of a cliff and far enough from the settlement that we figured we wouldn’t be bothering anyone, and proceeded to set up camp. People were staring at us the whole time so we waved and they tentatively waved back and continued staring, which made us a little nervous. We definitely didn’t want to camp here if we weren’t wanted, particularly because we were far enough off the road that if on the off chance something happened, we’d have little recourse. After hanging our bear bag and setting up camp, Ted headed over to one of the groups of men to say hi and make sure they were okay with us camping near them. Turns out they were out here to harvest wild mushrooms from the mountains and had been camping in this spot for almost 4 weeks! Ted said they were all tipsy and generally pleasant, but something about the interaction left him uneasy. Also, they said that a little bear comes almost every night and eats their stuff, so we had that to worry about. A couple minutes after we got in our tent, a man walked over and stood about 20 feet behind our tent, talking to himself and breathing loudly. Ted stepped out of the tent to see what he was doing, and the guy was just staring at our stuff. Ted waved, but the guy didn’t wave back and continued to stare at our stuff, which was a little creepy and unnerving. We need all of our stuff and can’t afford to/don’t have access to stores to replace it, so if he decided to take anything, we’d be in trouble. The guy stayed there, talking to himself in bursts, until after we both uneasily fell asleep. We nervously slept and heard close footsteps a couple times and a giant tree branch breaking (luckily, not a bear defeating our bear bag), and as soon as the sun rose, Ted awoke and decided it was time to go. Moral of the story: maybe camping alone and hanging the bear bag really well is better/safer/smarter than crashing a settlement.